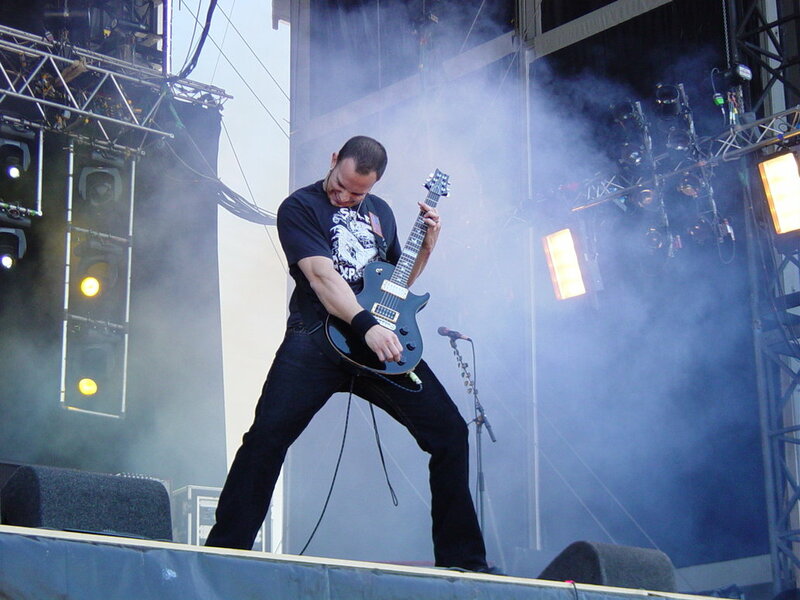 Tremonti is an American rock band founded and fronted by talented lead vocalist and guitarist Mark Tremonti. Mark is best known as the guitarist for Creed and Alter Bridge. In addition Tremonti consists of rhythm guitarist Eric Friedman, drummer Garrett Whitlock and bassist Wolfgang Van Halen. Originally the band started out as Mark’s solo project which evolved into a fully fledged band after the release of the band’s first album titled “All I Was” on the 17th of July 2012. Mark played bass and lead guitar on the band’s debut album as well as fulfilling his duties as the lead vocalist. Mark’s band mate in Creed and Alter Bridge Brian Marshall was the touring bass guitarist for the band until his departure later that year. Brian was replaced by Van Halen bassist Wolfgang Van Halen. 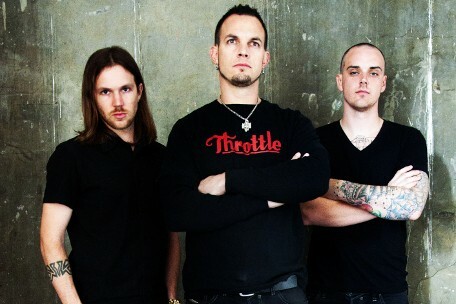 Towards the end of Creed’s career in the early 2000s, Tremonti wanted to form a speed metal side project called Downshifter which would have included Hatebreed vocalist Jamey Jasta and Slipknot drummer Joey Jordison, but the project never came to fruition. 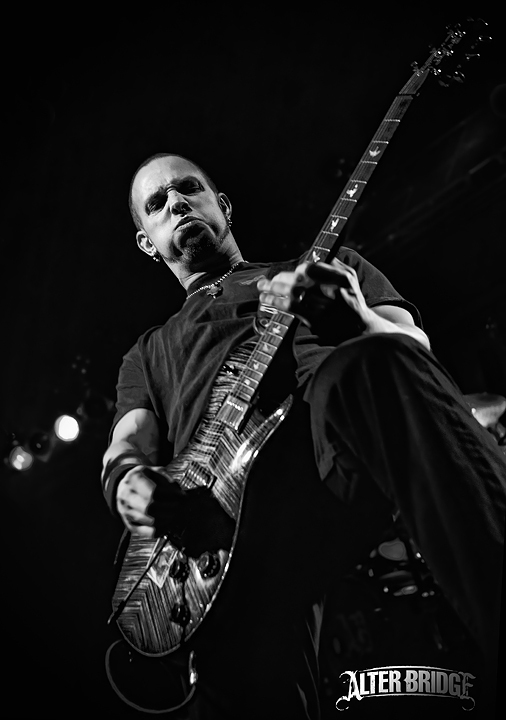 Later in 2008, Mark and his brother Dan Tremonti formed FRET12 , an online musicians’ community, production company, record label and artist management company to release his 2008 instructional guitar documentary DVD titled Mark Tremonti: The Sound & the Story, where he teaches warm-ups, alternate tuning, finger picking style, legato techniques, and other advanced exercises. It marked the first in a series of The Sound & The Story instructional DVDs which includes DVDs by Leslie West and Troy Stetina. Mark started showing interest in releasing a solo album , because he writes a lot and he felt there was potential in songs he had written that didn’t suit Alter Bridge or Creed’s genre/material. Former Submersed members Eric Friedman and Garrett Whitlock formed part of the band. Mark described the music as melody driven and in an interview he described the album as being a heavier-sounding thrash metal album. 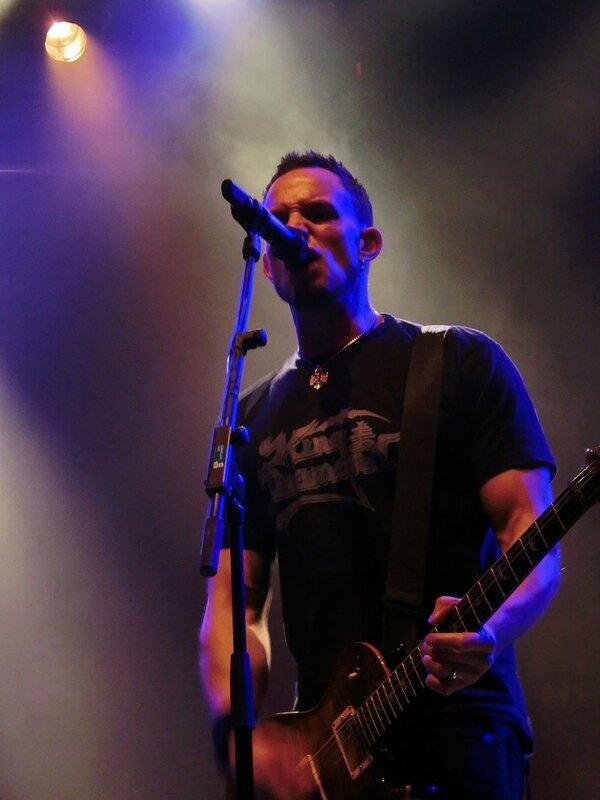 On the 20th of January 2012, Tremonti launched a website where fans can visit to find out about the latest news, previews, live streams and giveaways. A list of song titles and the title of the band’s debut album “All I Was” was announced on the website. The release date for the album was set for July 2012 on FRET12 Records under the management of Dan Tremonti & Tim Tournier. The first single from the album “You Waste Your Time” was made available on the 6th of May 2012, one day before its release on Loudwire.com. One day after its release, the song reached number 10 on the iTunes Rock Songs chart and the live video for the song premiered on the 17th of May 2012 on Noisecreep. The official release date for the album was announced on Ultimate Guitar Archive as the 17th of July 2012. Produced by Michael “Elvis” Baskette, the album shows prominent thrash metal influences. 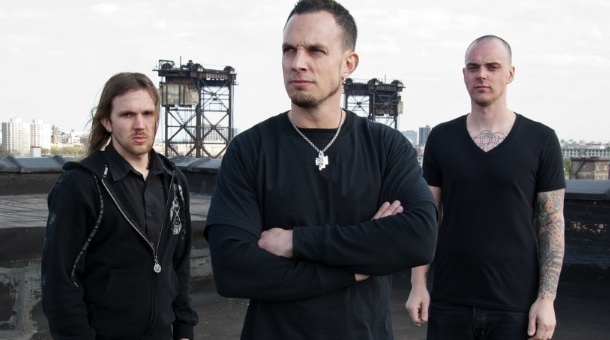 This album marks the debut of Mark Tremonti as a lead vocalist. Tremonti originally consisted of Eric Friedman, Garrett Whitlock and Brian Marshall playing bass guitar as a session/touring member. The band’s first concert took place at The Social in Orlando, Florida, on July 17, 2012. Wolfgang Van Halen replaced Brian Marshall as a touring bassist in September 2012 and was named as an official member of the band in March 2013. A previously unreleased B-side “All That I Got” became available as a single on the 16th of April 2013. 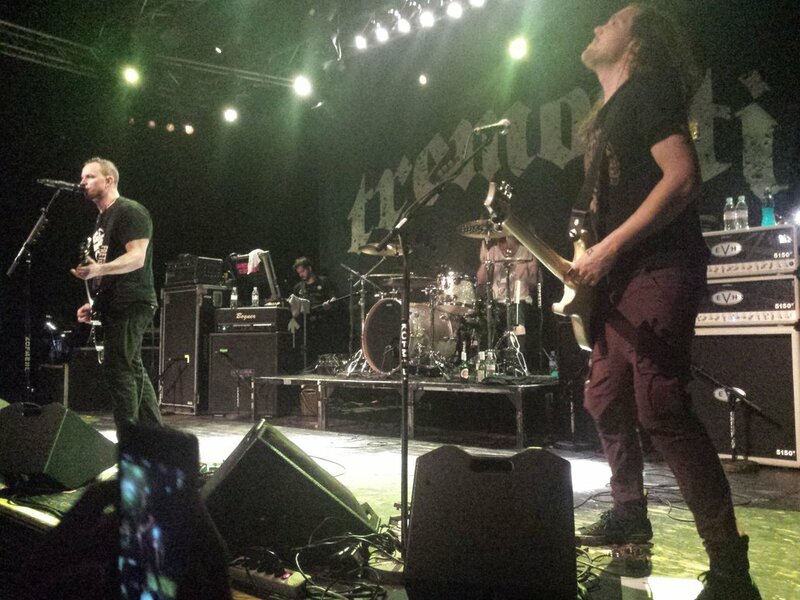 In 2014 Tremonti began recording their second album with Wolfgang Van Halen playing bass. Another B-side called “Gone” was released as a single on the 16th of September 2014. On the 3rd of March 2015, the band released a sample of their song “Radical Change” and revealed the album title “Cauterize” along with the song listing for the band’s sophomore effort. On the 17th of March 2015 Tremonti released another song preview for the track “Flying Monkeys” and gave a concrete release date of the 9th of June 2015 for Cauterize. On the 20th of March 2015 Tremonti unveiled on Twitter that the first single would be titled “Another Heart” and that it would be released on the 24 March 2015. On the 23rd of March 2015, the single “Another Heart” was available for streaming via FRET12. The artwork for Cauterize was revealed on the 27th of May 2015, additionally it was announced that it will be the first of two albums that were recorded together to be released. The second single “Flying Monkeys” released in the US on the 15th of May 2015 and is available for digital download via iTunes. After listening to Cauterize I was struck by Mark Tremonti’s vocal performance on the latest record in comparison to its predecessor. Cauterize engages all of your senses and doesn’t let up until the end. By listening to Cauterize you witness the development of the band as a unit. I love the philosophical lyrical content of “Providence” and Mark’s vocals shine on the song combined with some beautiful riffs. I like the heavier, yet melodic style that the band has adopted, it attracts new fans without alienating existing fans especially since the genre of music the band play is so far removed from Mark’s other projects. I can imagine it takes a lot of investment and guts to start a third band from scratch, especially when your schedule is already planned years in advance. Tremonti is unique, because of the fact that the band consists of established musicians who really don’t have anything to prove and is making music purely for the love and passion that the band members possess for their craft. Since 2010 Mark has expressed his interest in releasing a solo album, since he has written many songs that does not fit the style of either Alter Bridge or Creed. He decided to the album within a three-month window where Myles Kennedy was touring with Slash and Scott Stapp was touring as well. He describe the album as melody-driven with elements of thrash and speed metal thrown in. Essentially Mark was going to back to his roots, he was always interested in exploring metal music a little deeper, but never had the avenue to do so. He grew up on the likes of Pantera and Metallica. Although Mark was always interested in metal music, he was adamant to incorporate a strong melody in the songs. His sense of melody has improved through the years during his work with Creed and later Alter Bridge. I’m a strong believer in incorporating melody and structure to a song, it doesn’t matter how heavy the music is as long as a recognisable melody is present, I will probably like it. On the 6th of April 2011, Alter Bridge announced that tracking of Mark’s debut album has begun. On the 20th of January 2012 Tremonti and FRET12 launched “The Tremonti Project”, a website where fans could go to find out more about the band, receive news and stay updated on the progress of the album. The song list, band members and title of the album were officially announced on the website. On the 20th of March 2012 the album artwork was revealed and the album was to be distributed by EMI. “You Waste Your Time” was announced as the first single to come off the album and the song was made available for listening on the 6th of May on Loudwire.com. A live music video for the song was released on the 17th of May 2012. The album’s release date was on the 17th of July 2012. I will admit when I first heard that Mark will assume both the vocal and guitar duties, I was sceptical. I didn’t know what to expect and I wasn’t sure how strong Mark’s voice would be. Through my first listen to All I Was , I was overwhelmed. Keep in mind I hadn’t had much exposure to trash or speed metal. I was overwhelmed by the instruments at first, it was a lot for me to absorb. The more I listened to the album, the more the melodies and layers of instruments began to take shape. Mark’s voice has grown on me since the first few times that I listened to the album. He has a low register, but his voice can sound more tender when he sings higher notes. Garrett Whitlock did a stellar job on the drums, the drums play a huge part on the album and sets the ebb and flow for the songs. Eric Friedman is a fantastic guitarist and his style complements Mark’s in every way. Eric delivered impressive backing vocals as usual. The album is a technical masterpiece that only seasoned musicians could pull off. My favourite song off the album is “You Waste Your Time”, because of the fast guitars and heavy drums, it makes me want to headbang wherever I am. Last but not least the listener is treated to many guitar solos that once again demonstrates Mark’s amazing talent. His songwriting ability is remarkable to say the least and he manages to connect to the listener on another level through his songs. After Mark and Scott decided to call Brian Marshall to ask him if he would like to join them in their new endeavor. Brian accepted their offer and he decided to quit his band at the time called Head Heavy. They began auditioning singers for the band asking potential vocalists to sing over demo tapes. Myles Kennedy auditioned and the band remembered him fronting The Mayfield Four as the opening act for Creed in the 1990s. They instinctively knew that Myles had the vocal range and tone that they were looking for. They flew him down and they got along so well that they asked him to join the band. After juggling many different band names they finally settled on Alter Bridge named after a long-standing bridge near Tremonti’s childhood home in Detroit, just off of Alter Road. Parents forbade their children to cross the bridge as it led to the bad side of town. All of the band members were very excited to be on the verge of a new chapter in their lives. While Mark Tremonti was between bands he got involved with Submersed a new band on Wind-Up’s label. Mark introduced Eric Friedman to the band who was impressed by his impressive guitar playing. Eric was then added as the band’s lead guitar player. Mark produced Submersed debut album “In Due Time”. The band opened for Alter Bridge’s US tour in 2004 & 2005. Eric ultimately left the band and the band was dropped from Wind-Up’s roster in 2008 and the band later broke up. Alter Bridge entered the studio in 2004 to record their first album. The band turned in their first single and the producers edited the guitar solo out, the reason being that radio stations won’t play songs that have long guitar solos in it. Mark didn’t want to compromise and refused to surrender to their demands. Mark’s role in the band changed slightly from Creed’s setup. Mark contributed to many of the lyrics as well as more prominent backing vocals. “In Loving Memory” was a tribute to Mark’s deceased mother and “Shed My Skin” refers to the isolation Mark felt as a child when his family moved to Florida. Alter Bridge’s debut album “One Day Remains” was released in August 2004. Their first single “Open Your Eyes” reached #2 on the mainstream rock chart. Alter Bridge began to build a fan base in the US as well as in Europe. Mark brought his brother Michael on as the band’s press and fan liaison as the band was about to embark on their tour. Alter Bridge mostly played small clubs and started earning acclaim for their live performances. In 2005 “One Day Remains” has already sold 500 000 copies and reached Gold status. In 2005 Mark became a father to his first son Austen on the 24th of May. In 2006 Wind-Up was not providing adequate support due to its lack of mainstream success. Wind-Up wanted its much more profitable band Creed to reunite. Mark and Scott Phillips engaged in a multimillion buyout to release Alter Bridge from their recording contract. Alter Bridge funded the recording of their second album “Blackbird”. Alter Bridge toured European Summer Festivals to keep going and when they returned to the States they tried to get signed by many record labels. They eventually signed with Universal Music who was happy to let the band keep up their creative independence. Mark became a father for the second time on the 19th of November 2006. The band completed Blackbird and their second album was released in October 2007. Blackbird was the first album where Mark incorporated a second guitarist whereas Myles contributed a lot of the songwriting, guitar layering and half of the title track’s guitar solo. The album achieved moderate success with the lead single “Rise Today” reaching number 2 on the mainstream rock chart. Alter Bridge continued to tour small clubs in the US, but they most notably gained more attention in Europe more specifically in the UK, Italy, Germany, the Netherlands and Spain. Alter Bridge often returned to Europe where they were able to play larger venues to fund the band financially, making them able to tour the US’s smaller venues as well. Danish pedal maker T-Rex Engineering offered Mark a signature phraser pedal in 2008. 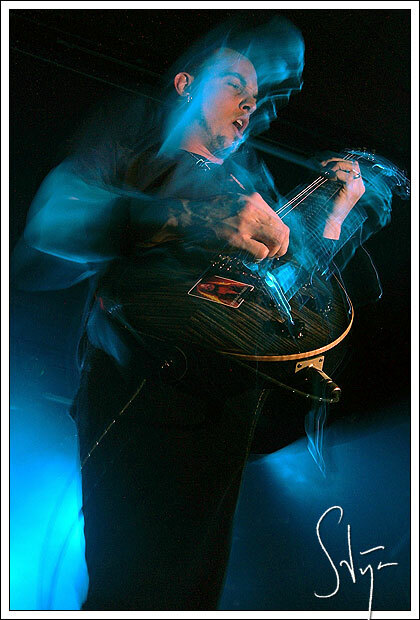 In 2008 Mark decided to release an instructional DVD – “Mark Tremonti – The Sound and the Story”. The DVD has technique practice routines, songwriting tips, a documentary and guest lessons offered by some of Mark’s guitarist friends. Mark has always been a fan of instructional dvds and Mark’s brother Dan released the dvd from a guitar venture he launched called Fret12. Dan owns a media marketing company called Core12. Alter Bridge decided to record a live dvd in 2008, they originally planned to film it at the Brixton Academy in London, but logistical issues forced them to move the shooting to the Heineken Music Hall in Amsterdam. The venue can hold about 6000 people. The band once again experienced label trouble and the DVD was delayed multiple times due to Universal’s lawyers. The full dvd was not released until January 2011, two years after the concert was filmed. The concert-only version reached number 1 on Amazon.com’s music dvd charts. Throughout Alter Bridge’s career the ex-band members including Mark sought to distance themselves from Creed. Creed was often ridiculed in the media and their hits were often parodied. Mark was often quoted as saying that a Creed reunion will never happen and after 5 years since the breakup it seemed like rumours of Creed’s reunion was a thing of the past. Early in 2009 rumours started to surface that Creed will return and initially the band didn’t even know about the rumours. Scott Stapp‘s management got in touch with Alter Bridge’s management and arranged a meeting with Creed’s ex-bandmembers. 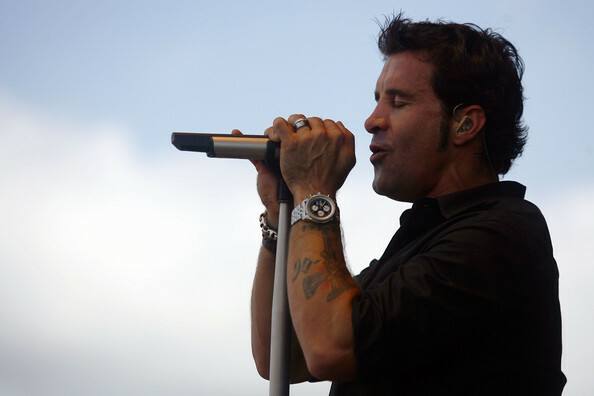 Scott Stapp apologized for his behaviour that caused the downfall of the band, saying that the past 5 years have changed him. Mark and Scott both had families now and both have matured. They decided to put the past behind them and before long the band decided to practice some of their old songs together. The first song they practiced was “My Own Prison” and the moment they started playing together the bond that they had as a band was reestablished. They knew they had to set up a tour and they started planning a 2009 summer reunion tour. With a tour coming up Creed decided to write an album to support the tour. The first song that they wrote was “Full Circle” which was a reflection of Creed’s rebirth. After they completed the album, the band embarked on their first tour in six years with Mark bringing along Eric Friedman to play rhythm guitar. “Full Circle” was released in October 2009 on Wind-Up Records and although it was Creed’s least-successful selling album it still reached number 2 on the Billboard 200 beaten only by Michael Jackson’s “This Is It” album. Creed recorded their first live dvd in Houston, Texas. At the end of the show the band received a Guinness World Record for the most cameras (239) ever used in a live recording. The dvd was released in December 2009. After Creed’s 2009 tour, Alter Bridge began to work on their third album, internally codenamed ABIII. The band was once again faced record label issues and decided to fund the recording for ABIII themselves. Alter Bridge eventually landed on Roadrunner Worldwide, everywhere except the US where the album was released on Alter Bridge Recordings via Capitol Records a subsidiary of EMI. After calling it ABIII for so long the band decided to name their third album ABIII. The album was released in October 2010 in Europe and November 2011 in the US. The album received overwhelmingly positive reviews. The album’s material was affected by the band’s frustrations on the music industry and Myles’s struggle with faith. Their first single off of the third album “Isolation” slowly gained momentum on the charts until it reached Number 1 on Mediabase’s Active Rock chart, as well as Billboard’s Hot Mainstream Rock Tracks chart, where it stayed for four weeks straight. In 2011 PRS refreshed the Tremonti SE guitar by providing new colours and incorporating bird inlays. While on tour with Alter Bridge Mark solidified his intentions to make a solo album, with Eric Friedman joining the project as well as former Submersed drummer Garrett Whitlock. Mark’s solo album “All I Was” was released on the 17th of July 2012 by Fret12 Records. He decided to make a solo album, because he writes so much material and some of it is not suited for Alter Bridge or Creed. All I Was was produced by Michael “Elvis” Baskette and the album shows prominent speed metal influences.”Wish You Well” the third single released off of the solo album was written by Mark when he was only 13, he released a demo recording of the song which was recorded in 1987. Mark is known to be a collector of pinball machines and he is a car enthusiast. When he is on tour he will make an effort to fly back for his son’s birthdays. Mark is well on his way to cement his name into the list of history’s great guitarists. A true idol that any musician can look up to, he is a hard worker and passionate about music. I hope that he will create music in any shape or form for many years to come. Mark Tremonti has played a huge part in the rock music industry as we know it and his contribution just keeps getting more clear by the day. He has had a hand in creating some of my favourite songs and albums in the past few years. He has astounding skills upon which he has improved and built upon year by year. Only a true musician works hard at his craft and relentlessly pursues perfection. 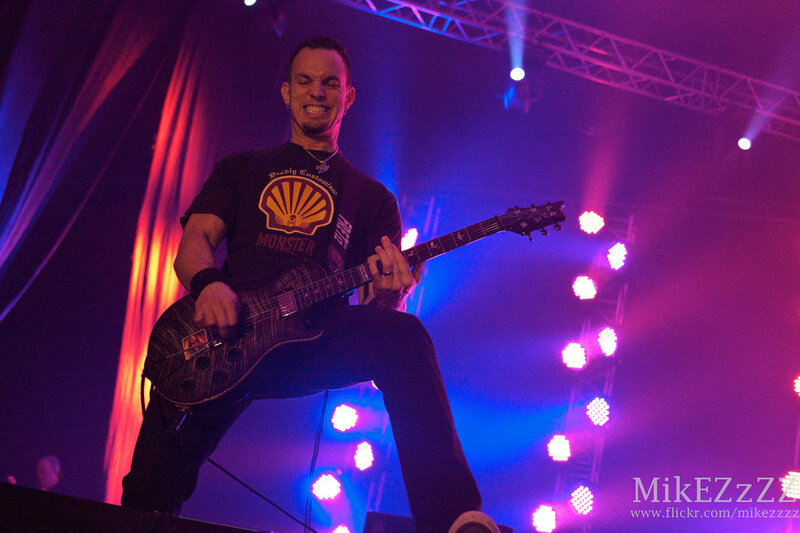 Mark Thomas Tremonti was born on the 18th of April 1974 in Detroit, Michigan to Italian-American parents Michael and Mary. He grew up in a Roman Catholic family in Grosse Pointe before he moved to Wilmette, Illinois. He has two brothers called Michael II and Daniel. At around the age of 11 Mark was exposed to bands like Kiss and Metallica by his brothers. Mark bought his first guitar around about the Christmas of 1985. Mark signed up for guitar lessons, but quit after the first lesson, because they insisted on teaching him Mary Had A Little Lamb, when all he wanted to learn to play was Master of Puppets. Mark then decided to teach himself by reading from tab books and learning to play his favourite songs by ear until he got them right. Mark attended his first concert which was headlined by Iron Maiden and he vowed to become a lead guitarist of a band, someday. After his freshman year in High School Mark’s life was uprooted once again when his family decided to move to Orlando, Florida. His friends in Detroit shared his love for bands like Metallica and Anthrax. Whereas his peers in Lake Highland Prepatory Orlando had a preference for pop acts like Milli Vanilli and associated acts. Around this time Mark’s mother was sadly diagnosed with Lupus. Mark started to adopt the gothic trend, he wore Megadeath shirts underneath his white school shirts and secretly smoked cigarettes underneath his car. Mark started to feel like a misfit in school and with his brothers away at college, Mark decided to find solace in his guitar. As expected Mark’s despair and sadness manifested itself in his music. Music became an outlet for Mark’s feelings and Alter Bridge’s song “Shed My Skin” is a reflection of this time. Mark formed his first rock band in High School called Wit’s End. Wit’s End played Motley Crüe and other metal covers. Mark became acquainted with classmate Scott Stapp even though they weren’t in the same group of friends. After High School Mark decided to go to College to study Finance, he attended Clemson University in South Carolina for a year. He rented instructional videos which increased his playing skills immensely. For financial reasons he transferred to Florida State University where he reunited with high school classmate Scott Stapp. Mark had a job at the time as the cook at Chilli’s restaurant. He even wore his Chilli’s shirt to an early Creed photo shoot. Mark improved his guitar skills and even performed at open mic nights. Scott and Mark decided to form a band after a long discussion, they then started auditioning musicians to complete the band. Scott Stapp and Mark Tremonti auditioned a drummer and the drummer’s friend got behind the drums and started playing Living Colour with Mark. Mark and Scott immediately knew they had their man. That man was Scott Phillips. With the addition of Brian Marshall on bass the band was complete. The band gained an extra member in 1995 called Brian Brasher, but he left before the band became famous. The band struggled to come up with a suitable name, so one day Mark came up with a name taken from a humorous newspaper clipping that he carried around in his wallet, so the band was named Naked Toddler. The name was not well received and the band soon decided to change it. Brian had previously been in a band called Maddox Creed and they decided to use a variation of the name. Scott suggested that the band be called Creed. A creed represents a promise or a belief. Scott Stapp’s ancestors were Creek Indians so the name seemed to be the perfect fit. Creed’s first recorded song was called “Grip My Soul”, but it was never released. The band performed at Floyd’s Music Store and Jeff Hanson the venue’s manager was most impressed by the two original songs that the band performed. He started his own management and promotion company to support the venture. Creed’s debut album was recorded in pieces and Creed returned to the studio when they had saved enough money to record. Jeff got the local radio station 101.5 to play the title track of their debut album called “My Own Prison“. The song prompted an instant reaction from listeners and the radio station was overwhelmed by calls from people wanting to know what this new song was. My Own Prison was released on their own independent music label, Blue Collar Records. The artwork was designed by Mark’s brother Dan an arrangement that has continued for every Creed and Alter Bridge cover to date. Only 6000 copies were printed. They sold their CDs at their shows while they were on tour and managed to sell 5, 000 copies in just 6 weeks. Creed knew they would need the backing of a major label if they wanted to make it big, so they auditioned for many record labels without success. A new record label called Wind-Up Records showed interest and asked if Creed would sign up as their first act. My Own Prison was re-released by Wind-Up in 1997. Creed continued and their fan base continued to grow as a result. The fans started requesting Creed on their local radio stations. The band drew increasing attention and went from selling 3,000 albums per week to 25, 000 albums per week. My Own Prison was a huge success making Creed the first rock band in history to have four number-one singles off of their debut album. The album has sold 6 million copies in the US alone as recorded up until March of 2011. Mark was honored by Guitarist Magazine as Guitarist of the Year for 3 consecutive years. Around this time Paul Reed Smith approached Mark and offered him a signature guitar model. PRS crafted its first single-cutaway model, moving the pickup toggle to the top, and sent it to Mark. With the PRS Tremonti Signature guitar Mark became the second guitarist(after Carlos Santana) to have a PRS signature model. PRS produced a limited run of 100 and each was signed by Mark. Creed released their second album Human Clay to immediate success, Human Clay sold 11 million copies. Human Clay was one of only 100 albums ever to be certified diamond status by the RIAA. The first single off of the album “Higher” spent a record-breaking 17 weeks at number 1 on the mainstream rock charts. In 2000 Brian Marshall left the band due to tensions within the band. The band never replaced Brian instead opting to hire a touring bassist which was Brett Hestla of Virgos Merlot. In 2001 Creed accepted the Grammy award for the Best Rock Song for”With Arms Wide Open“. At this point in Creed’s career the band had sold 13 million albums in 5 years and had charted seven consecutive #1 singles. In early 2001 guitar pedal maker Mortley worked with Mark to design and make a signature wah pedal called the Mark Tremonti Power Wah. Creed released their third album in 2001 called “Weathered”. The album debuted at number 1 on the Billboard 200 and it stayed there for the next 8 weeks. Mark was again approached by Paul Reed Smith to develop an entry-level signature guitar. Mark’s world was turned upside down with his mother’s tragic passing in 2002. Creed started to experience some problems as relentless touring, disagreements and Scott Stapp’s demons begun to take their toll on the band. Despite all the negative tension the band was experiencing the silver lining of 2002 was when Mark Tremonti married his girlfriend Victoria Rodriguez on December 14. When the time came for Mark and Scott to sit down to write the fourth Creed album, they were constantly fighting and found that they were going nowhere creatively. Creed announced their break-up in 2004, Wind-Up then went against the band’s wishes and released Creed’s Greatest Hits album in November 2004. Mark spent the majority of 2003 and 2004 at home honing his technical skills practicing for up to 8 hours a day. He attended classes to learn how to use Pro Tools and he took singing lessons as well. He recorded some demos at home without knowing what would become of them. Mark and Scott Phillips decided that they would like to form a new band. Mark wanted to refocus on his personal goals that he set for himself and go about achieving them with Scott Phillips who shared the same desire. Due to the impression Mark Tremonti has made on the rock music industry this feature will be split into two parts. Readers can look forward to more insight into the guitar legend’s life next week. For the latest rock music news “Like” The Rock Riff on Facebook: http://www.facebook.com/TheRockRiff. As promised on our Facebook page The Rock Riff will now be reviewing Scott Stapp‘s uncensored Memoir. I have looked forward to reading this book since I heard about it more or less a year before its release date. I had a few questions on my mind on Creed- and Scott Stapp’s history, I was eager to have those questions answered by reading this memoir. Was/is Creed a Christian band? Were the relationships within the band completely restored after their reunion in 2009? 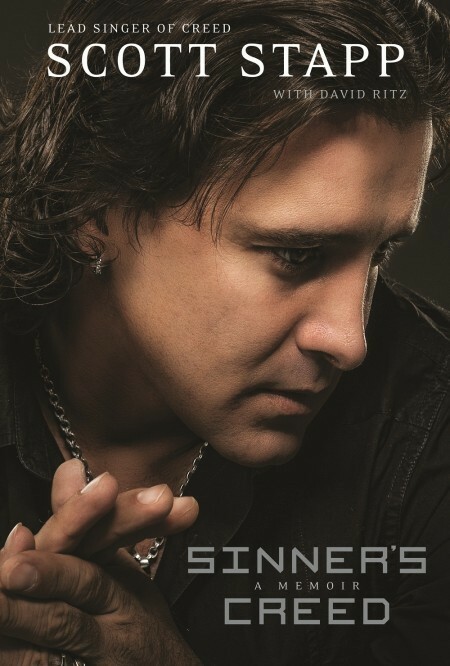 Has Scott Stapp fully recovered from his addiction (s)? Will Scott Stapp admit to his shortcomings in this book? 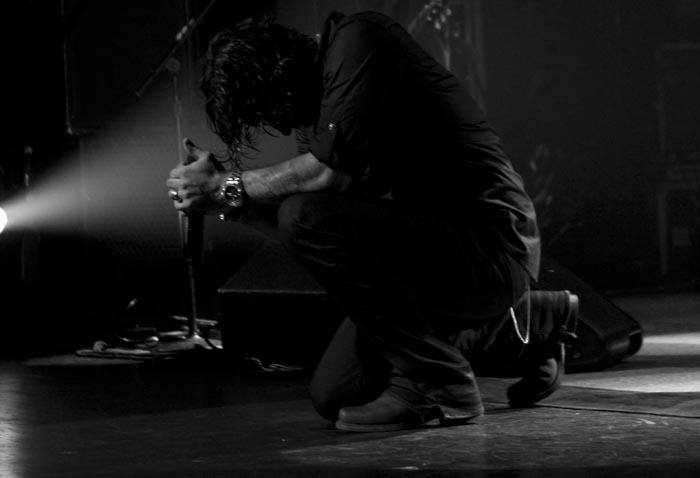 Did any violence occur when the police arrested Scott Stapp at his home in 2006? 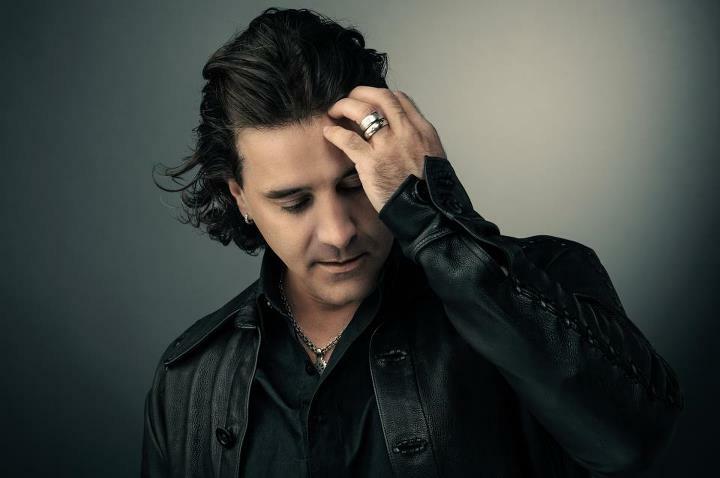 Did Scott Stapp try to commit suicide? All of my questions were about answered by the time I finished reading the book. I will share a few highlights from the first part of the book and after that I will give my personal opinion on the book. The book starts by recounting the incident at The Delano Hotel, Miami Beach on the 18th of November 2006 when Scott fell 20 feet and landed on his forehead. It is amazing that he survived that fall, even the doctors couldn’t believe it. From an early age Scott was forced to be the man of the house after his biological father, a marine left his mom and two sisters behind. He took the responsibility upon himself to be the family’s protector/guardian. Religion played an increasingly important role in Scott’s early childhood and later in his young adulthood. Scott’s grandfather was a descendant of Indian heritage and Scott loved spending time with his grandfather at the Cherokee reservation in North Carolina, where his grandfather owned land and a cabin. His grandfather had a different approach to Christianity, he saw God in nature and his surroundings. At the age of nine Steve Stapp entered his life, Scott loved the man who promised to protect and look after his mother and sisters. Steve Stapp married Scott’s mother and legally adopted Scott. Anthony Scott Flippen was renamed Scott Alan Stapp. He perceived the adoption as a way to start over. When Steve became an official member of the family, he became the head of the household and he made sure everyone knew it. Steve wanted Scott to improve his behaviour at school and to bring home nothing less than an A in every subject. Fear started to rule every aspect of Scott’s life, fear of disappointing God and his stepfather Steve. Scott was introduced to rock music by a friend who brought over a record of Def Leppard. In the middle of listening to the song “Rock of Ages” Scott’s dad burst in his bedroom door, his dad told his friend to go home. Steve told Scott that Rock ‘n Roll was not music, it was an instrument of Satan. He forbid Scott to ever listen to any music where an electric guitar is played. Scott promised never to listen to rock music again, but that wasn’t enough, so Steve decided to give him a beating to make sure he stopped listening to rock music. One Saturday Scott spent an evening at a friend’s house and was told to be home at 6 a.m. the following day so that he could go to church. Scott overslept and received a spanking in full view of his family. After this incident Steve Stapp introduced the children to The Timer. The Timer was set to 5 minutes, the time allotted for Scott to shower and brush his teeth, 6 minutes to get dressed, gather his books and to be seated at the kitchen table. If he wasn’t in his chair when The Timer went off he would receive a beating. After breakfast he had five minutes to wash, dry and put away the breakfast dishes and then two minutes to put on his coat and get to the car. If The Timer went off you would receive a beating with no exceptions. Scott received beatings every Monday night for the sins he didn’t get caught committing. He wasn’t permitted to date or even go out to watch a movie, so he put all his energy into sports. After a terrible fight during which Steve hit Scott’s mother Scott decided to take his car and escape his household. He went to live with a friend for about two months, until his father started to lure him back home by exploiting his weaknesses. Scott received offers from the Naval Academy, Vanderbilt and the University of Pennsylvania. Steve led Scott to believe that the schools were not offering full scholarships and that he should attend a Christian school instead, which led Scott to attend Lee University. When Scott arrived at Lee University he realised just how sheltered his life had been. He had never tasted beer, he had never seen/smoked marijuana and he had never kissed a girl before. Scott got expelled for smoking marijuana after he admitted to smoking it to the dean. Scott decided to attend Tallahassee Community College and planned to transfer to FSU. He met up with Mark Tremonti and they decided to start a band together, a band that will eventually become Creed. The years in which I listened to Creed as a teenager, I had heard through the media that Creed was a Christian band. I never understood that statement at all. In my mind a Christian band would sing their praise to God directly through their lyrics. Analysing Creed’s lyrics I interpret their songs as an ongoing struggle with faith, religion, being human and God. It was unfortunate that they were branded with a Christian label. I find their music to be emotional and spiritual, it is an experience that cannot be replicated. As a listener Creed’s music allows for deeper introspection. It makes me realise how flawed we are and how we will always strive to be better than ourselves. If it wasn’t for the Christian label and being called “uncool”, I think Creed would have been taken more seriously by music critics and music fans alike. Creed delivers heavy melodic rock music and their lyrics have meaning. What more could a fan of rock music ask for? I found the book really enlightening when it came to the events that shaped Scott Stapp as the man he is today and the events that shaped Creed. If you are looking for a book that describes the details of all the debauchery that occurred during Creed’s career, you will have to look elsewhere. The book does not glorify any behaviour typically associated with rock stars. This book taught me a lot about the music industry, people, fame and depression. In my opinion it is of the utmost importance that depression is mentioned throughout the book. It demonstrates the power of the illness and how it can continue to haunt you to the point where you implode/explode. It is a common belief that if someone is depressed they sulk and hide in their room/home until they feel better or receive medication. Depression rears its head from time to time if left untreated, it is the long-term lowering of enjoyment of life or the inability to visualize a happy future. The sufferer is forced to lead a normal life and to pretend to feel normal, even sometimes fooling themselves. Another description of depression is a period of unhappiness or low morale which lasts longer than several weeks and may include self-inflicted injury or suicide. When Creed reunited in 2009, I found it really strange that it wasn’t being marketed through the social media sites, radio or news websites. Some people probably still don’t know that Creed has reunited. The reason for this is revealed in the book and it just demonstrated to me once more what people will do for money. Any musician or band that is on the brink of being discovered or has had a taste of fame will do themselves a favour by reading this book. I know it’s not possible to avoid all the pitfalls that you will face during your career, but at least you can say that you entered it with eyes wide open. Personally I think it was unfair that people/the media was judging Scott for being a Christian or a hypocrite. All Christians have sinned during their lifetime, its part of being human. To hold someone in the public eye to different standards than you do yourself is in itself hypocrisy. I really admire Scott’s wife Jaclyn’s role in his life and that of her family. Her family seem like sophisticated, educated and loving people. A great read if you’re interested in learning more about Scott Stapp, Creed or just interested in learning more about humanity. And so the countdown starts towards 2013 and the anticipation for Alter Bridge’s follow-up to 2010’s AB III begins. I for one absolutely cannot wait for it to be released. It might be strange to give the title Band of the Year to a band that hasn’t toured for the past year or so, but thats the beauty of this band. They don’t have to release new material or tour for more than a year and they still have the ability to touch people’s lives in some way. Mark, Scott and Brian has been busy touring with Scott Stapp as Creed this year, Myles has had a fantastic year touring with Slash and the Conspirators and Mark Tremonti has been occupied with his solo effort All I Was. All of the band members has had a successful year, so now its time to get back down to business guys!! Alter Bridge has personally been my favourite discovery this year, although I might be jumping on the bandwagon a little later on in their career I feel like I have been a fan for years. Myles Kennedy and Alter Bridge has a few dedicated fan pages on Facebook that has been very active in publishing content surrounding Myles’s current endeavours and Alter Bridge’s official Twitter page has certainly not been inactive or dormant this past year. Its great when fans still feel they can connect with the band in some way even though they are busy doing different projects. Alter Bridge is an American rock band that was formed in 2004 in Orlando, Florida. 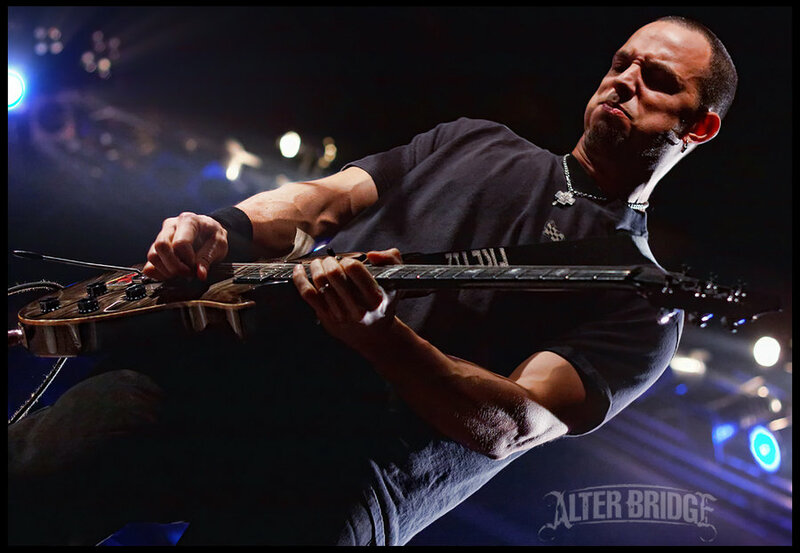 The group was named by Mark Tremonti after an actual bridge located in Grosse Pointe, Michigan, near his former home on Alter Road. Alter Bridge’s first album was met with mixed reviews and achieved gold status with One Day Remains which was released by Wind-Up Records in August 2004. After the band’s first tour they left Wind-Up Records in 2006 and signed with Universal Republic Records releasing their second album Blackbird in October 2007 which was met with positive reviews by critics. The band toured for the next two years and reconvened in 2010 to work on their third studio album. AB III was released in October 2010 through Roadrunner Records and the album was a critical success. In January 2011 Alter Bridge’s first live album and concert film was released “Live from Amsterdam” after two years of delays. Their second concert film “Live at Wembley” was released on the 26th of March 2012. The band has had relatively low mainstream success (which isn’t always a bad thing, as we all know), but their music has been critically successful which proves that Alter Bridge consists of true artists and musicians in every sense of the word. In 2009 Ultimate Guitar Archive name Alter Bridge the 36th greatest band of the decade. 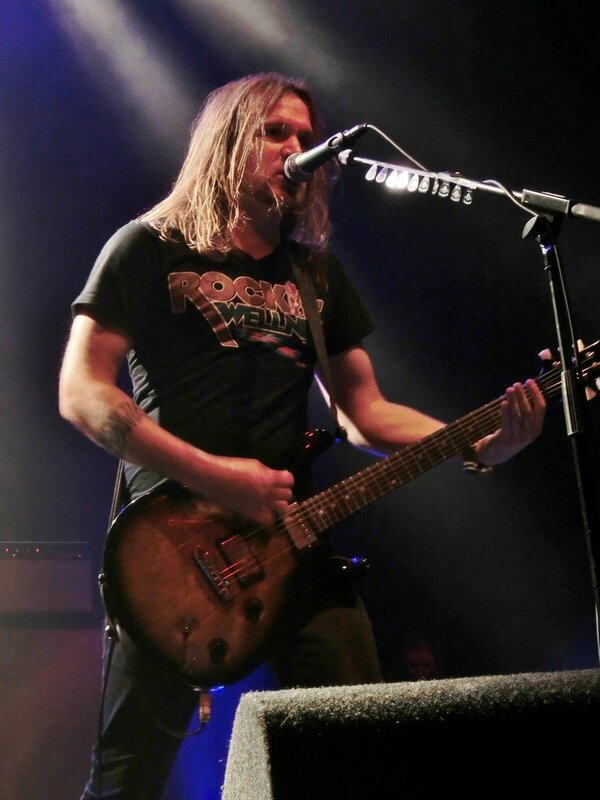 Afer Creed became inactive in 2003 following a controversial tour, that same year Mark started writing new material with plans to form a new band with Brian Marshall and Scott Phillips, being fans of Myles Kennedy‘s former band The Mayfield Four they invited Myles to join their band. The music of One Day Remains as well as most of the lyrics on the album was written by Mark Tremonti, although Myles also co-wrote the lyrics for about half the songs. A few songs from One Day Remains established an affiliation with WWE, most notably “Metalingus” which Edge adopted as his entrance theme in 2004 and used it as such until his retirement in 2011. Its ironic how I always loved that song and I always wondered who the artist was that performed it. Alter Bridge experienced a bump in the road when their relationship with Wind-Up Records started to deteriorate. Alter Bridge still experienced some difficulty after parting ways with Wind-Up records which consisted of criticism for disbanding Creed, pressure to reform Creed and false reports of a Creed reunion. I can imagine this time in their career as being quite tough on the band and I think it was extremely unfair to blame Alter Bridge for Creed’s problems, but I suppose it was inevitable. Creed and Alter Bridge are two seperate bands and I think fans as well as the media should respect that. A single disc version of “Live from Amsterdam” was sold exclusively at venues during Creed’s reunion tour in 2009 and on Amazon.com. The dvd sold thousands and thousands of copies in comparison to the projected hundreds that Amazon expected to sell. The dvd reached No.1 on Amazon’s “Bestsellers in Music Videos & Concerts” and remained there for weeks. On September 6th 2010 Roadrunner Records debuted Alter Bridge’s first single “Isolation” on their website, the song became the band’s most successful song reaching number 1 on active rock radio and on the Hot Mainstream Rock Tracks chart, a first for Alter Bridge. AB III was met with overwhelming critical acclaim from professional reviewers upon its release. MusicRadar called it one of the guitar albums of the year and Artistdirect gave AB III a perfect score and called it a masterpiece. Alter Bridge’s music is a spiritual experience and it touches your soul. Alter Bridge’s music is heavy yet melodic, because Myles has such a soaring voice it creates a great contrast with the heavy guitars and bass. Alter Bridge has a unique formula which you don’t come across often. As a listener Alter Bridge’s music soothes and renews your faith in music. I’m so happy I followed my instinct when I bought AB III earlier this year, because its very unusual for me to purchase an album without listening to a few samples on the album. I take the task of purchasing music very seriously and I don’t make the decision lightly. I can’t wait to hear what Alter Bridge has in store for fans in the new year and I hope to hear a lot more from them in the future. Today I feature my most recent obsession, Mr Myles Kennedy himself! I can’t wait to tell you more about this talented vocalist and guitar player. Myles’s story started on the 27th of November 1969 when he was born Myles Richard Bass in Boston, Massachusetts and as a child he moved to a farm in Spokane, Washington. His father Richard Bass died when he was at the tender age of 4. Myles’s mother later remarried to a minister and they took the surname Kennedy. Myles was inspired by musicians Led Zeppelin, Marvin Gaye and Stevie Wonder and he started playing trumpet at the age of 10 and guitar at the age of 15. He attended Mead High School while he played guitar in the school’s jazz band and trumpet in the school’s marching band. His extracurricular activities included playing in a local heavy metal band called Bittersweet with some of his fellow classmates. Myles found his singing voice by listening to his parents’ Marvin Gaye and Stevie Wonder records, Myles also states that Robert Plant was a huge influence on him. After graduating in 1988, Myles enrolled in Spokane Falls Community College where he decided to study music. Upon graduating Myles enrolled in a Commercial Music/Jazz Studies Program at the Community College. Using the skills he learned from this program in 1990 he joined jazz band Cosmic Dust (Fusion Band) as a guitar player. Myles’s work with Cosmic Dust was very advanced, using his knowledge of jazz theory combined with his advanced technical abilities and interweaving cord changes it wasn’t long before he became a well-respected guitarist among local musicians. Cosmic Dust’s first album, Journey, was released in 1991. The album was well-received by critics. After the release of Cosmic Dust’s first album, Myles left the band in order to start working on a new band that would become known as Citizen Swing. Myles provided the lead vocals as well as the lead guitar for the band. The band’s sound was a combination of funk, R&B, blues and alternative all rolled into one. They released their first album in 1993 which was called Cure Me With The Groove, Myles helped produce the album. The band consisted of Myles, Craig Johnson on rhythm guitar, bassist Dave Turner, drummer/percussionist Mike Tschirgi and trumpeter Geoff Miller. Citizen Swing’s second album Deep Down was released in 1995. The band disbanded in the same year as their second release. All the music and lyrics on Deep Down was written by Myles Kennedy. Journey, Cure Me With The Groove and Deep Down is obviously highly sought after by fans, but these albums are extremely rare. I wouldn’t mind hearing it either, it should be interesting to hear a young Myles sing a different genre of music. In 1995, Myles started teaching guitar lessons at a store called Rock City Music (if we only knew then what we know now!). By August 1996 Myles was in a band called The Mayfield Four where he took the role as lead vocalist and lead guitarist of the band. His childhood friends Craig Johnson, Marty Meisner and Zia Uddin completed the lineup for The Mayfield Four. They signed a contract with Epic Records thanks to a critically acclaimed demo the band recorded in 1996 followed by a live extended play called Motion in 1997. The band’s debut album Fallout was supported with a 15-month tour with bands like Creed, Big Wreck and Stabbing Westward. This is where Myles’s voice was introduced to future bandmates Mark Tremonti, Brian Marshall and Scott Philips. Fallout was praised by critics but failed to chart, Craig Johnson was subsequently fired from the band for unknown reasons. Following the Fallout tour Myles made an appearance in the 2001 drama film Rockstar starring Mark Wahlberg and Jennifer Aniston. Myles was contacted by his manager and told that the filmmakers needed someone that could sing high and that his name was mentioned. Myles met Zakk Wylde and Jason Bonham on set. Myles was the only actor in the movie whose real voice was used. The Mayfield Four’s second and last album Second Skin was released in June 2001. Myles stated in an interview conducted on the 26th of October 2010 with Entertainment-Focus that Second Skin was one of his most personal albums lyrically up until the release of AB III. Although The Mayfield Four was popular they never garnered enough attention to break into the mainstream. In 2002 the future of the band began to look uncertain and Myles began recording new music. The band went on hiatus that year and ultimately disbanded. It was during this time that Myles damaged his ears by listening to music on his headphones that was played at volumes that were too high. This resulted in tinnitus which is defined as the perception of sound within the human ear in the absence of corresponding external sound. Myles fell into a depression in 2002, because of this condition and claimed that he had grown disillusioned with music and the music business. He consequently went on a musical hiatus. Former Guns ‘n Roses guitarist (the one and only) Slash contacted Myles and asked if he was interested to be a vocalist for a new band he was forming now known as Velvet Revolver. Myles declined the offer. Myles continued to work on his music, but took a more acoustic approach. Myles Kennedy is best known as the lead vocalist and guitarist for hard rock band Alter Bridge. In late 2003 Myles was contacted by then-former Creed bandmember Mark Tremonti who wanted Myles do do some vocals on a few tracks he had recently written. Mark, Brian and Scott left Creed in 2000 and wanted to start a new band. 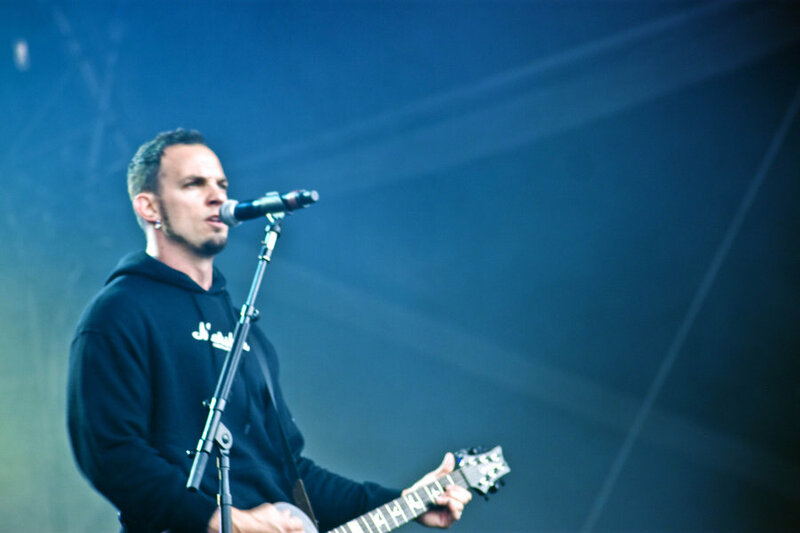 Alter Bridge took its name from an actual bridge located near Mark Tremonti’s home in Detroit. Alter Bridge was officially formed in January 2004, their debut album, One Day Remains was released in 2004 by Wind-up Records and it was certified Gold by the RIAA. One Day Remains is the only album released by a band which Myles is officially part of that does not feature Myles playing guitar. Their second album Blackbird was released in 2007 on Universal Republic to mostly positive reviews. Blackbird featured Myles on guitar as well as some of his songwriting. Mark Tremonti recalls passing Myle’s bedroom one night on his way up to his own room. He heard jazz music coming from Myles’s bedroom, at first he thought it was a CD, but when he entered the room he saw Myles jamming on his guitar. Mark says that Myles hid his guitar skills, because he didn’t want to step on Mark’s toes. Myles knew his current bandmates contacted him for his voice and not his guitar skills. 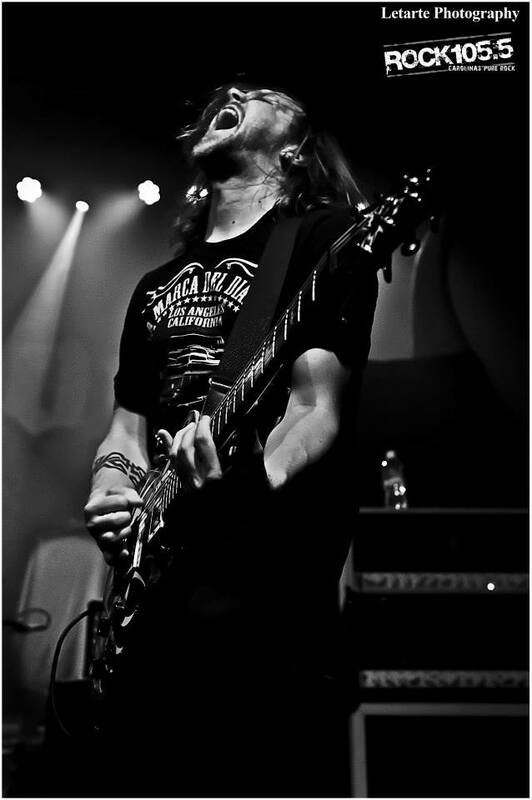 Myles’s guitar skills turned out to be quite an asset to the band and it brought a new dimension to their music. Alter Bridge toured in support of Blackbird from 2007 through to 2008. They released a concert film Live in Amsterdam an it was sold through Amazon.com in 2009 and in stores in 2011 after several delays. Alter Bridge took a break in 2009, while the bandmembers were busy with various projects, but they continued to write music throughout the year. In early 2009 Myles confirmed that he was working on a solo project and described it as being “dreamy” the opposite of Alter Bridge’s more aggressive sound. Myles described the material as being more singer/songwirter based. A firm release date has not been announced and in 2010 the album was put on hold. Myles has previously confirmed that Slash will appear on the record. In late 2009 it was reported that Myles will be working with Slash on his solo debut album. Myles has co-written Starlight and Back from Cali and provided the vocals on the tracks. On February 3rd, 2010 Slash announced that Myles would provide the vocals on his tour supporting his self-titled solo album. The self-titled solo album from Slash was released in April 2010. Alter Bridge regrouped later that year (2009) and began working on AB III and it was released in 2010 through Roadrunner Records worldwide, except in North America where the album was self-released on Alter Bridge Recordings via EMI. Myles wrote about his personal experience concerning faith, belief and spirituality. 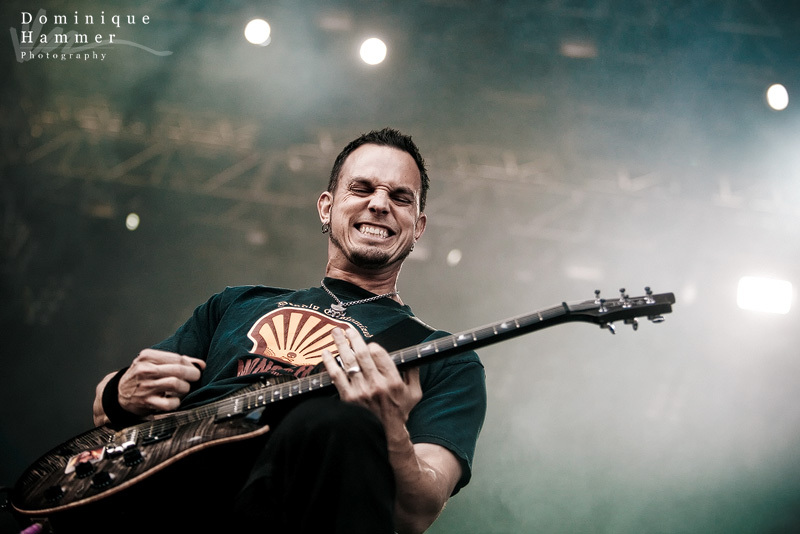 According to Mark Tremonti Myles is an atheist, but Myles has stated in an interview with Kerrang! Magazine that he is somewhere between being an atheist and being a Christian. Myles has said that despite being raised in a Christian household he does not believe in any organised religion. Myles considers himself to be part of a growing segment of the community who questions authority and scrutinize concepts that no longer seem as logical as they once did. I can sympathise with his views on this subject. Myles has said that this is his most personal album since Second Skin from The Mayfield Four. A second concert film Live at Wembley was released on the 26th March 2012. I need to get my hands on these dvds ASAP! “April 14, 2012, Kennedy performed three Guns N’ Roses songs with five former members of Guns N’ Roses during their Rock and Roll Hall of Fame induction in Axl Rose‘s absence.” – Source – Jordan Zakarin (April 16, 2012). “Guns N’ Roses Perform at Rock and Roll Hall of Fame Induction with Myles Kennedy in Axl Rose’s Absence”. Hollywood Reporter. http://www.hollywoodreporter.com/news/guns-n-roses-perform-rock-and-roll-hall-of-fame-myles-kennedy-axl-rose-312396. Myles has collaborated with numerous musicians over the years including a collaboration in 2005 with Chris Jericho from Fozzy where Myles sang the chorus of “Nameless Faceless” from their album All That Remains. Myles is influenced by a wide range of artists from different genres ranging from jazz, blues, rhythm and blues, soul to name a few. Myles has stated at various times that Jeff Buckley is a major influence on him as a singer. Myles says that Jeff Buckley’s emotional intensity was one of the most inspirational things for him as a singer and made him come to terms with the fact that he is a tenor. A tenor is a type of male singing voice and is the highest male voice within the modal register( a vocal register most frequently used in speech and singing in most languages). In February of 2012 I decided on impulse to purchase AB III from a local online store, I wanted to see what all the hype surrounding Myles and Alter Bridge was about since I’ve heard quite a lot about them on Twitter. I follow the Creed bandmembers and I became aware of Myles and Alter Bridge in that manner. I became irritated with the fact that I was in the dark and that I had no knowledge of this band. I had to grow accustomed to Myles’s voice on my first few listens, since it isn’t common to hear a tenor singing rock music. After a few days I was hooked and my love for Alter Bridge consumes me everytime I listen to their albums. I now have all three albums and I listen to them on a daily basis. Personally I love the soft, mysterious tone of Myles’s voice on Slip To The Void and his amazing vocal acrobatics on All Hope Is Gone. I love his emotional delivery of the song In Loving Memory and his aggressive tone in Ties That Bind. I love his uplifting high notes on Rise Today. His performance on Apocalyptic Love showcases the variety in his voice and his lighter side. He starts off softly on Not For Me and then the song escalates up to where he makes his stand against drugs and the lifestyle that goes with it. I’m so glad that I bought that album and I look forward to many more years of listening to his beautiful voice. Myles is suffering from Bronchitis and I hope he makes a speedy recovery. Myles is currently on tour with Slash featuring Myles Kennedy and the Conspirators.